Welcome to Destin Gulfgate! Emerald Coast by Owner is proud to be your premiere vacation rental service for this area, offering you a large variety of luxurious properties you can hardly ever say no to! 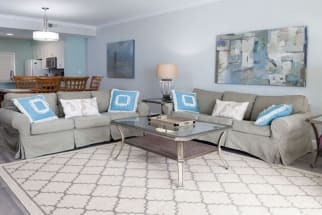 Destin Gulfgate is an elegant condominium complex with carpeted bedrooms, a public pool, a convenient location right on the beach, an exercise room, grills and many other amenities! When you stay here, you can take advantage of your vacation in whichever fashion you desire! If you are looking to relax, enjoy the comfort of your own condo, a poolside view, or head to the beach and listen to the waves crash into shore! If you are looking to cut loose and have a blast while you're here, you're in luck! Destin Gulfgate is surrounded by plenty of awesome attractions and activities, a week isn't enough to try them all! Some typical things to do are parasailing, deep sea fishing, boat tours, golfing and more. A few attractions we recommend are Big Kahuna's Waterpark or Henderson Beach State Park! You won't regret a trip here! 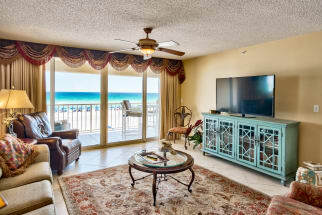 Discover your next vacation rental with Emerald Coast by Owner at Destin Gulfgate in Mid-Destin. When you book with Emerald Coast by Owner, we make it easy for you to contact the property owners directly and book your rental through them. Each listing has an "Email Owner" button and a phone number you can use to contact the property owner or manager. ECBYO does not charge any service fees when you book with us, so book online today and save!